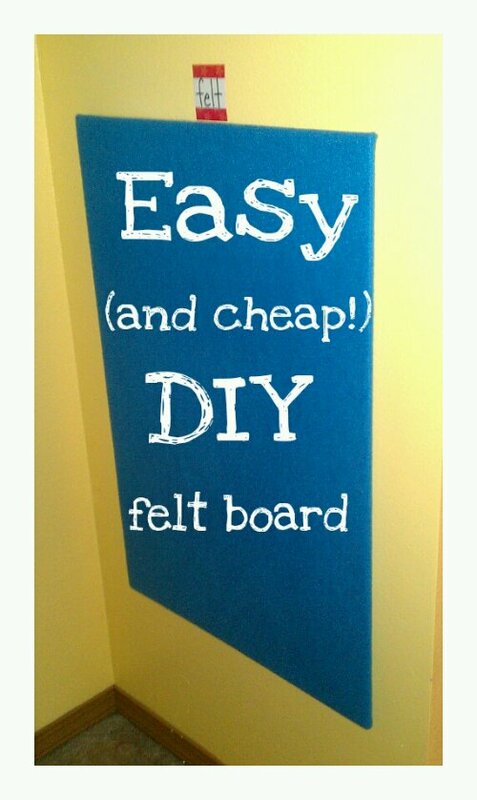 This felt board was so easy to make (and cheap too!). I bought a yard of blue felt at a fabric store for $2.99 and a sheet of blue foam board at Wal-Mart for a little over $2. The project only cost about $6, and it could even be done for less. I really only needed a half yard of the felt to cover the board and I know they have foam board at the Dollar Tree (so you could realistically end up spending only about $3 on this). To make the felt board I ironed the blue felt then cut it to size, leaving a few inches of extra fabric on each side. Then I grabbed my stapler and stapled the excess fabric to the back of the board, making sure to pull tight. Then I mounted it to the wall and let Trevor have fun with it! This is great! Just the kind of idea I needed. Thank you!